Bristol Type 152 Beaufort: The Bristol design team under Frank Barnwell evolved the Type 152 as a variant of the Blenheim to meet the combined requirements of Specifications M.15/35 and G.24/35, as a land-based twin-engined torpedo-bomber and general reconnaissance aircraft. 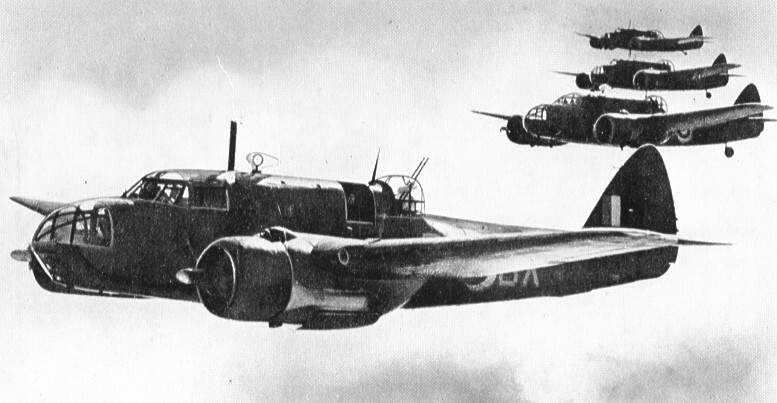 With a crew of four, the Type 152 could carry an 18” (457mm) torpedo partially exposed in the fuselage, and an initial contract for 78 aircraft was placed in August 1936 to Specification 10/36, the name Bristol Beaufort was adopted. Total UK production was 1,429. 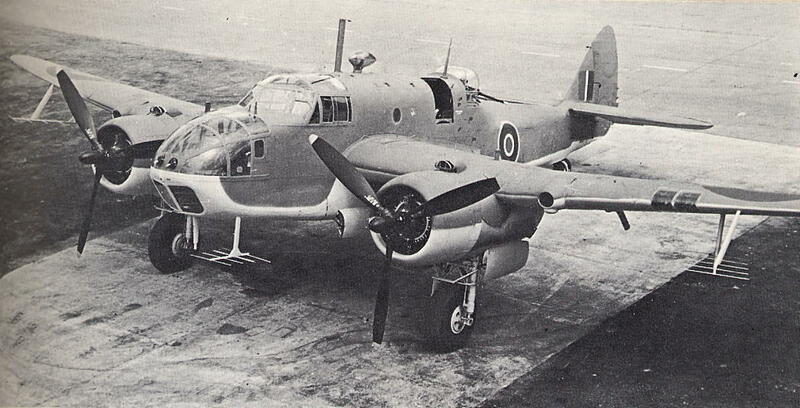 Bristol Type 152 Beaufort I: Powered by two 1,035hp Taurus III or IV, or 1,130hp Taurus XII or XVI engines and armament of one or two Vickers ‘K’ guns in a Bristol B.IV dorsal turret (or two Brownings in the later B.I Mk V turret) plus one or two Vickers guns in the nose and one, or, later two Brownings in the wings. 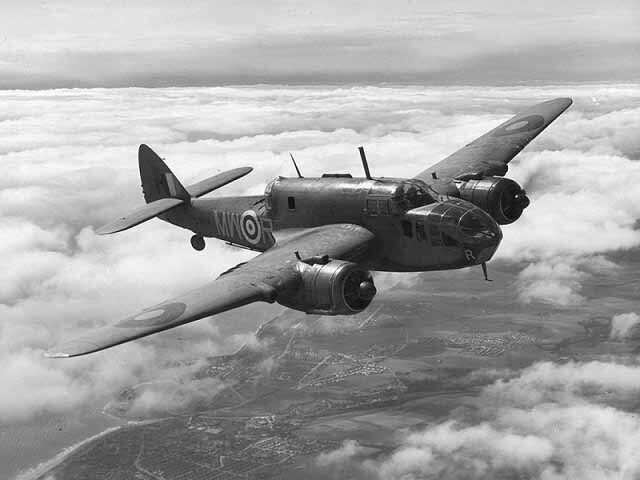 Some later aircraft were fitted with two Vickers ‘K’ beam guns and optional rearward firing Browning under the nose, all guns were 0.303” (7.7mm) calibre. 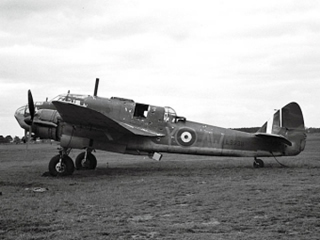 First flown on 15th October 1938 and delivery of 1,014 Mk I’s began in November 1939, initially to No22 squadron. Max speed, 260mph (418km/h). Cruising speed, 200mph (322km/h). Service ceiling, 16,500ft (5,030m). Range, 1,035 –1,600 miles (1,655-2,574km). Endurance, 6 hrs. Empty weight, 13,100lb (5,947kg). Gross weight, 21,230lb (9,638kg). Span, 57ft 10in (17.63m). Length, 44ft 3in (13.49m). Wing area, 503sq ft (46.73m²). Bristol Type 152 Beaufort II: Designation first used for Mk I’s with Taurus II in place of Taurus III engines in 1939. Reallocated in 1940 to Bristol Beaufort I with 1,200hp R-1820-S3C4G Twin Wasp engines. Prototype was flown on 9th November 1940 and first production Mk II on August 17th 1941. Production totalled 415, last 250 of which were delivered as Mk II(T) trainers without dorsal turrets. This aircraft was delivered to the Royal Navy and in all probability served with 762 Naval Air Squadron.